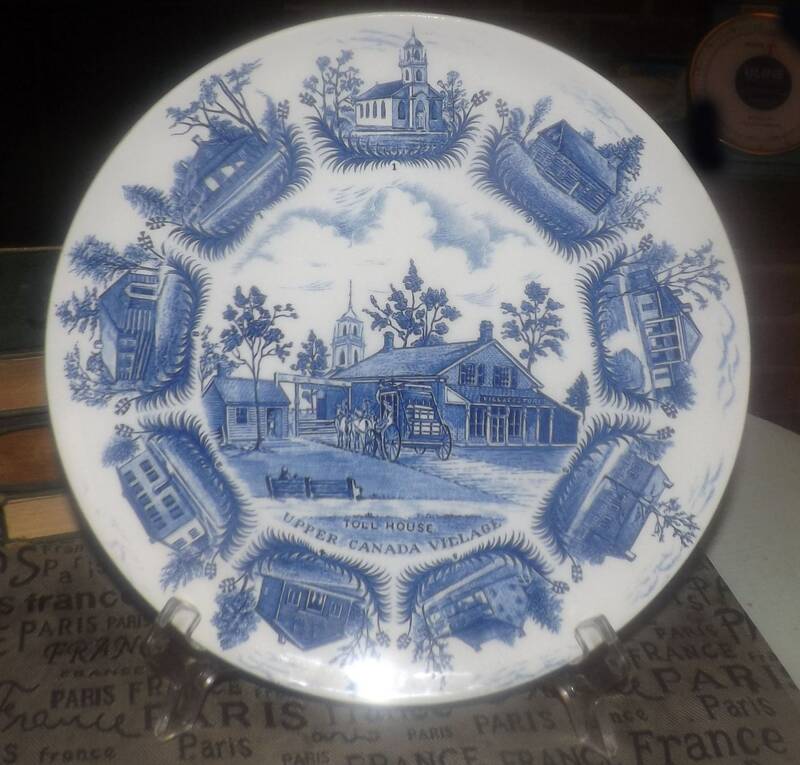 Vintage (1970s) Adams Micratex England Upper Canada Village souvenir plate. 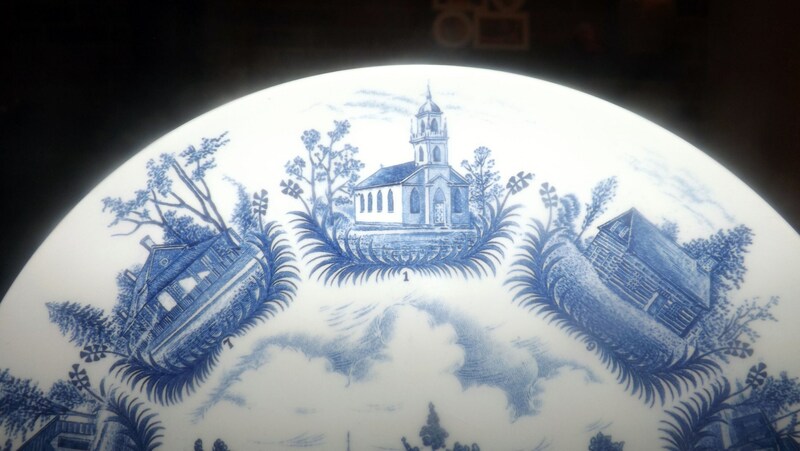 Blue-and-white transferware pioneer scenes. 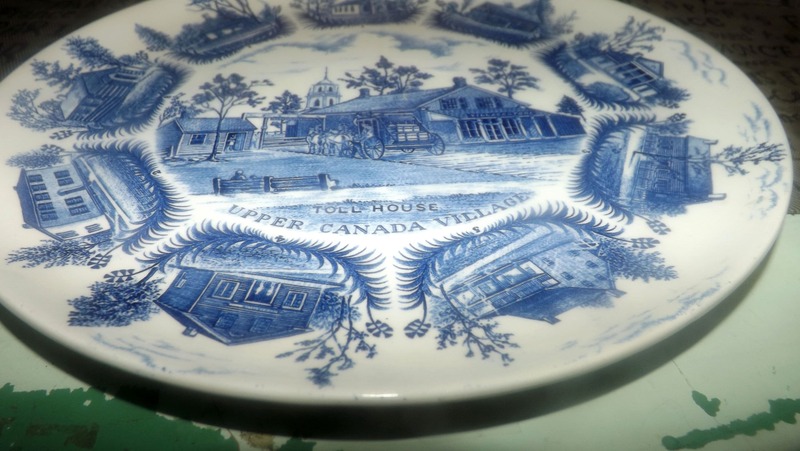 Vintage (1970s) Adams Micratex England Upper Canada Village souvenir plate. 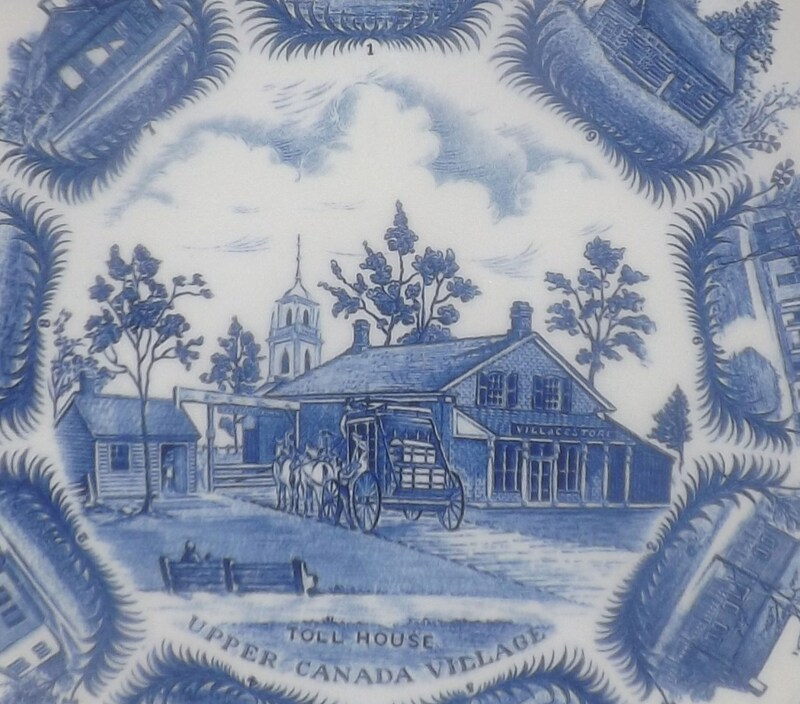 Blue-and-white transferware pioneer scenes and imagery of the various main attractions at Upper Canada Village near Ottawa, Ontario. 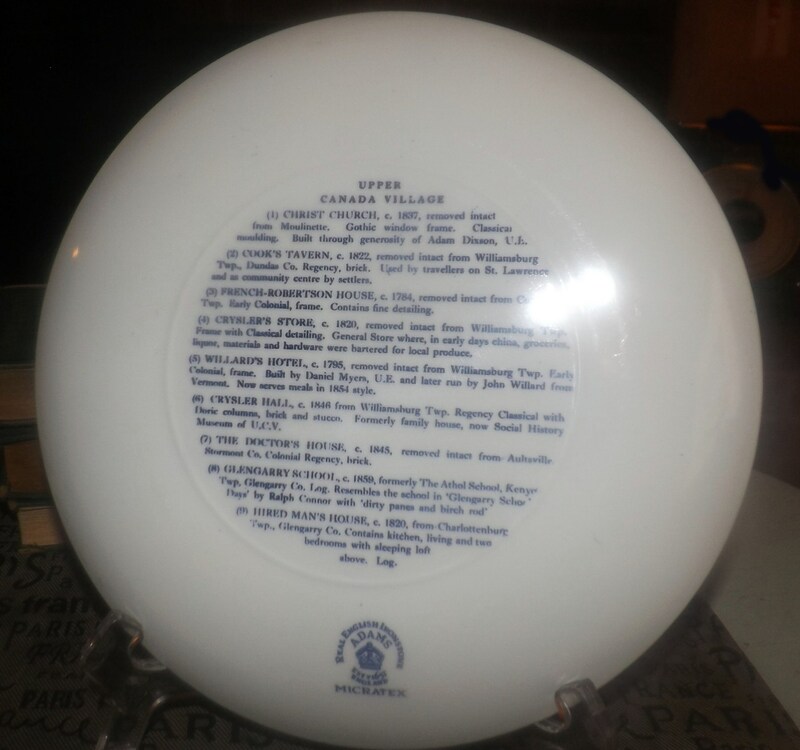 Back contains a brief description of each of the attractions displayed on the front of the plate. In EXCELLENT! condition with NO! chips, nicks, cracks or fleabites, NO! crazing and NO! marks or stains. There are one or two VERY LIGHT! scratches to the imagery, but otherwise there are NO! other signs of wear. 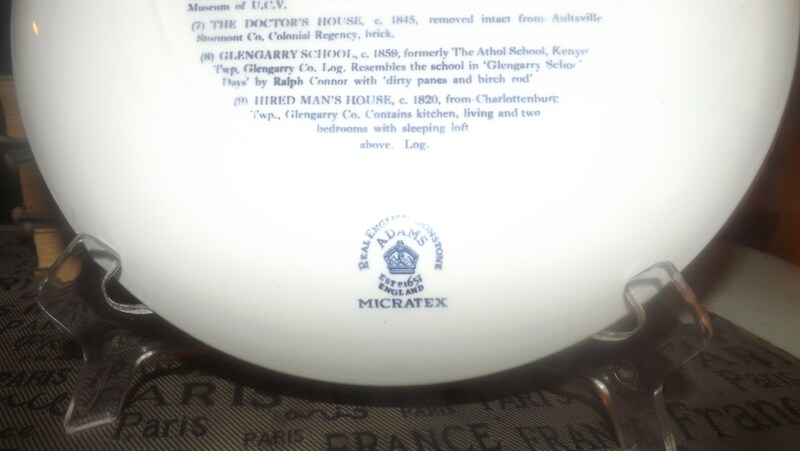 The blue-and-white transferware imagery and wording is bright, clear and fully legible with NO! fading or wear apparent. Great bit of Canadiana, especially for lovers of blue and white! Approximate measurements: 9-3/4" in diameter (measured edge to edge).